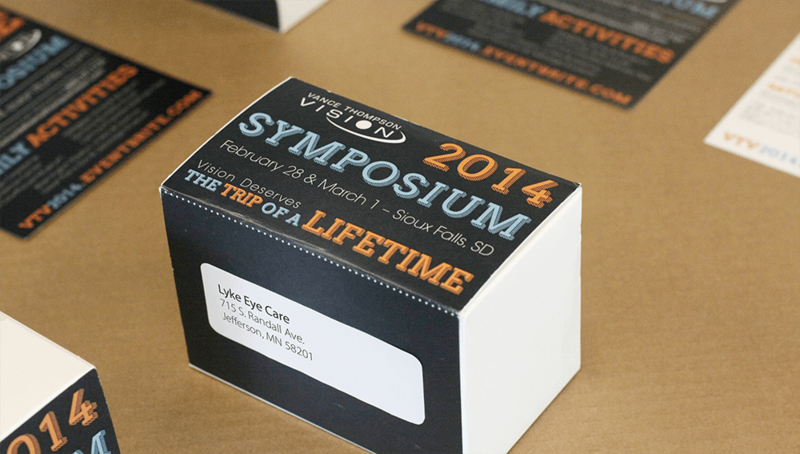 Every year, Vance Thompson Vision sends invitations to optometrists in the area to attend an educational symposium. How do we transform an invitation experience that’s usually mundane into something that’s remarkable? The challenge was to create something different from just an invitation card. We needed to create something memorable. 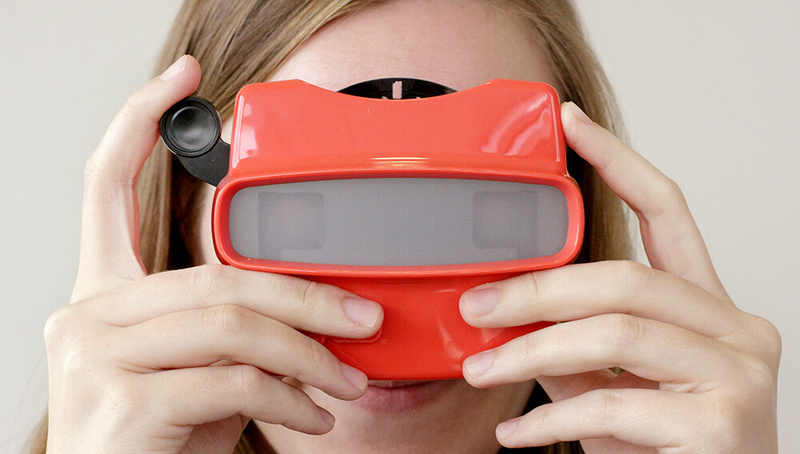 In creating the invitation, our launch point was the theme “Trip of a Lifetime.” We thought about the journey that patients take from around the world to have their eyes treated by the team at Vance Thompson Vision. We also thought about the transformational experience eye procedures can be for people: vision correction is life changing. 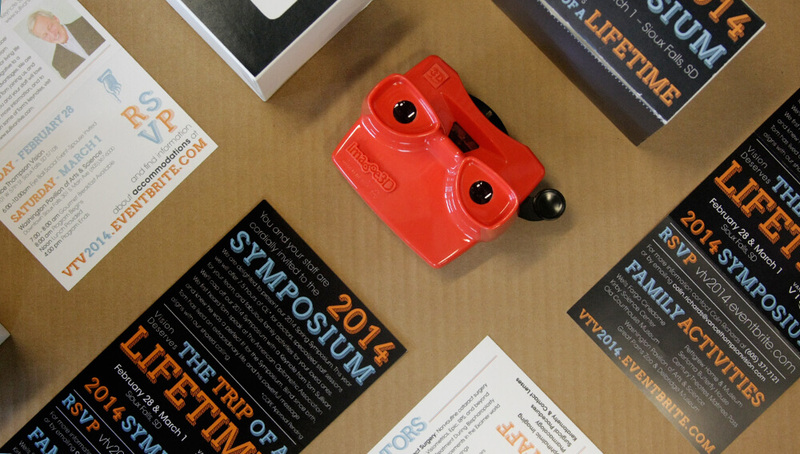 To capture the spirit of embarking on a journey and experiencing life with new vision, we contacted a company that produces View-Masters in order to create a custom slideshow to invite optometrists and their staff to the symposium. 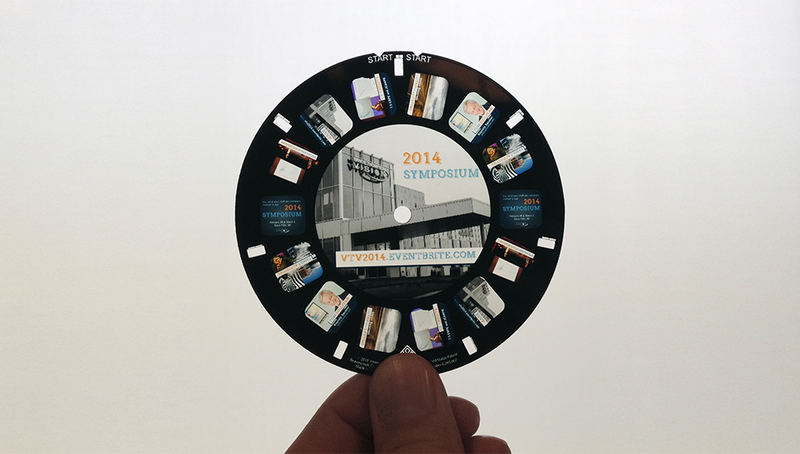 In eight custom slides, we highlighted what attendees would see and experience at the symposium. While these invitations used a basic, even archaic technology compared with what’s available today, we learned that the power of nostalgia in creating remarkable experiences should never be overlooked.